Jim Hestand was born in 1949 in Oklahoma City, Oklahoma. 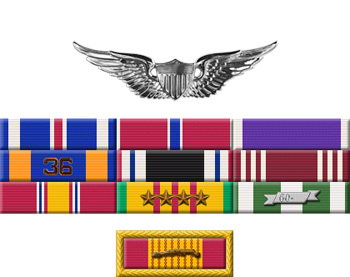 He enlisted in the U.S. Army for Warrant Officer Rotary Wing Aviator training on April 28, 1969, and he was appointed a Warrant Officer and awarded his aviator wings on May 27, 1970. 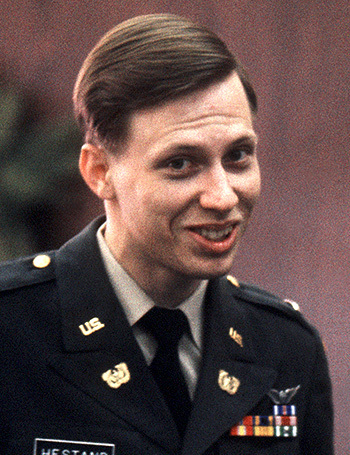 His first assignment was as a UH-1 Iroquois pilot with the 118th Aviation Company in South Vietnam from July to August 1970, followed by service as a UH-1 pilot with the 128th Aviation Company in South Vietnam from August 1970 until he was shot down and taken as a Prisoner of War on March 17, 1971. After spending 699 days in captivity in South Vietnam and Cambodia, CW2 Hestand was released during Operation Homecoming on February 12, 1973. He was briefly hospitalized to recover from his injuries at Fort Sam Houston, Texas, before serving as Assistant Operations Officer with the 4th Aviation Company at Fort Carson, Colorado, from December 1973 to March 1974. After being hospitalized again at Fort Sam Houston, he was medically retired from the Army on June 17, 1974.